Oh, sometimes I feel like a curmudgeon, carrying on about cranky bloggers with semantical issues, cultural trends devaluing the value of art, or bookstores that take out their Amazon-pique on innocent, hardworking authors, but today I want to celebrate something worth celebrating: GATSBY BOOKS, a bookstore that clears the air of smoke and semantics to be exactly what it claims to be: an independent bookstore that not only serves its community, but serves the authors who come in to share their work. Does that distinction seem strange? Were you thinking: doesn’t every indie bookstore support indie authors? Isn’t that an integral part of their mission statement? Isn’t that why so many people shout “save your independent bookstore! !”, friends urge friends to shop local and little, and mega-millonaire authors like James Patterson pledge hard, cold cash to help save this beleaguered business model from extinction? You’d think so. Up till several months ago that’s exactly what I thought, but that was before my naive little indie-author self became aware of what appears to be standard operating procedure in much of the indie book world: if an author shows up with print copies made by CreateSpace (an Amazon-affiliated company), they are not invited to share their books at said store… even if the book is excellent… even if the author supplies the books… even if the store never has to even think about that company whose name shall not be uttered… even if all their dealings and interactions will only be with the self-publishing, self-peddling, just-trying-to-get-my-work-out-and-reach-an-audience independent author. Nope. Turns out, if there is any connection whatsoever to the hated behemoth, that author’s book is to be shunned in a political effort to be punitive to Amazon. That these stores stock their shelves with thousands of books by traditionally published authors who also sell on Amazon appears to be a moot point. That indie authors are the exact kind of proactive, independent artists these stores should eagerly support is dismissed. That the mean-spirited and myopic attitude of exclusion will ultimately be more damaging to the store than the indie author certainly merits analysis. But right now, none of that matters. We’re not invited. I wrote about this sorry phenomenon in an earlier piece titled, Caught Between a Bookstore and That Amazon Place, and since then I’ve had two more “independent” bookstores refuse my work simply because the print copies were made by CreateSpace. They actually stated that as the reason. They didn’t even look at my book. Gatsby Books owner, Sean Moore. Photo by Ashleigh Oldland. Indeed. 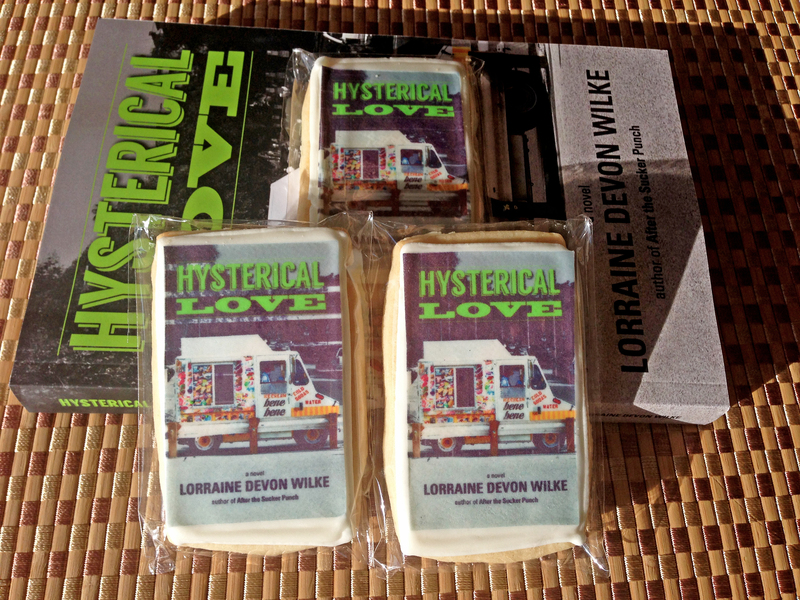 Then he said he’d have some wine to go along with my famous book cookies. Seriously, what a guy! 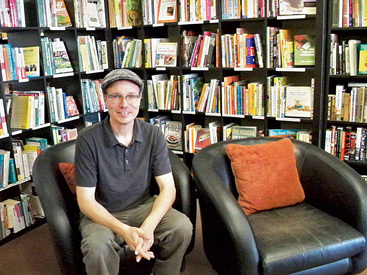 So while other indie bookstore owners are slamming their doors to authors who just might be the next bestseller, who just might bring in passionate new customers, who just might help that store raise its profile by their own marketing efforts, Sean Moore is being both a mensch and a smart businessman. The industry is evolving and will keep evolving—likely in continuing huge and clumsy increments—until the balance between technology, digital delivery, new price models, and changing culture settle into something more predictable (assuming that can actually happen!). The entrepreneurs and creative thinkers who will ultimately survive that plate-shifting will be those who—instead of looking backward, mis-targeting their enemies, and thinking small—are willing to look at the bigger picture, embrace emerging artists in whatever form they come, and understand the inevitability of a changing marketplace. Sean Moore is one of those and I not only applaud his forward-thinking, I’m very much looking forward to sharing my new book with customers who come to his store on Thursday night! So come on down/up on May 28th to join me… us (we’re featuring a special guest reader, actor and writer extraordinaire, Eddie King). It’ll be a fun night of literary entertainment AND we’ll get to show some support to a bookstore that gets it right. For more details (or to RSVP) you can leave a comment or click HERE for the Facebook Event page. 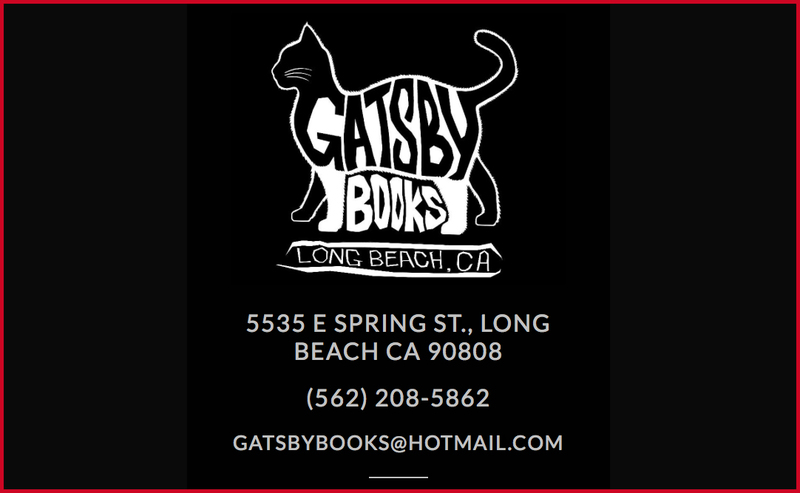 And for an interesting interview with Gatsby Books owner, Sean Moore, click HERE. NOTE: Certainly other independent bookstores are as welcoming as Gatsby Books. I’ve got copies of my previous novel, After The Sucker Punch, on shelves at Skylight Books; other bookstores accept quality self-published work with a fee. If you know of other independent bookstores who will stock the work of indie authors, even those who use Create Space to print their books, please let me know in comments. Let’s get the word out about these bigger thinkers!